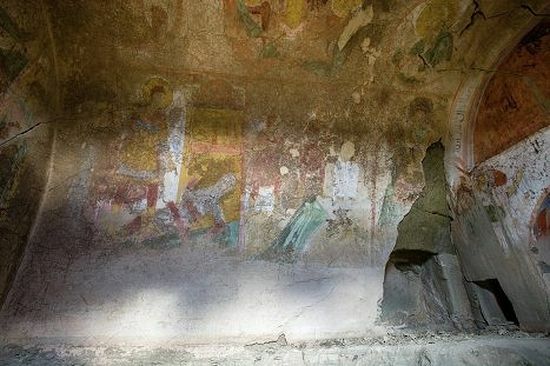 An unknown chapel with frescoes depicting the Mother of God and saints has been discovered in the David-Gareja monastery complex, the cells and churches of which are situated inside caves in the mountains at the border between Georgia and Azerbaijan, reported the public relations service of the National Agency for Cultural Heritage Preservation of Georgia to News Georgia. The chapel was discovered by accident to the east of the St. Dodo’s Monastery by a monk. Then Metropolitan Job of Urbnisi and Ruisi reported the find to the National Agency following which specialists were sent to the site of the chapel and began investigation works. The researchers believe that the wall paintings date back to the 13th century. The National Agency for Cultural Heritage Preservation notes that this discovery is unprecedented from the scientific point of view. The investigation work in the chapel will continue. 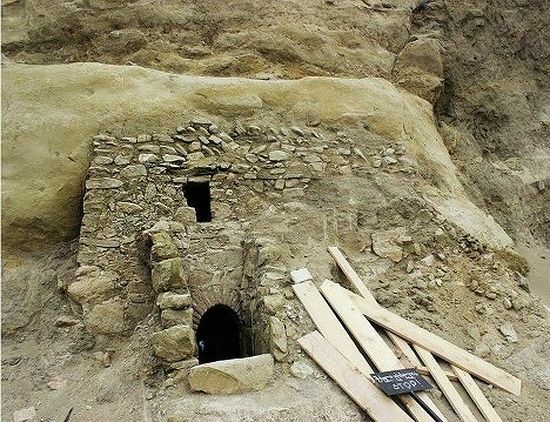 At the same time, the research programs relating to the discovered chapel will have an important place in the Georgian government program for preservation and protection of cultural heritage. 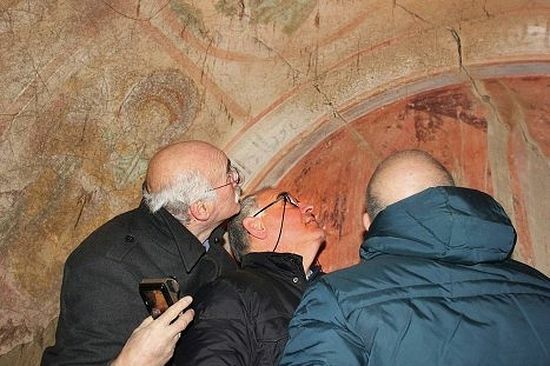 General director of the National Agency for Cultural Heritage Preservation Nika Antidze and deputy minister of culture and preservation of monuments Levan Kharatishvili have already visited the chapel together with experts in wall paintings, archaeologists, and architects for the purpose of planning of the work on preservation and protection of the monument. The Agency promises to publish the results of investigation works carried out in the discovered chapel. This entry was posted in Featured News, News and tagged Azerbaijan, Georgia, Levan Kharatishvili, National Agency, News by Orthodoxy Cognate PAGE. Bookmark the permalink.